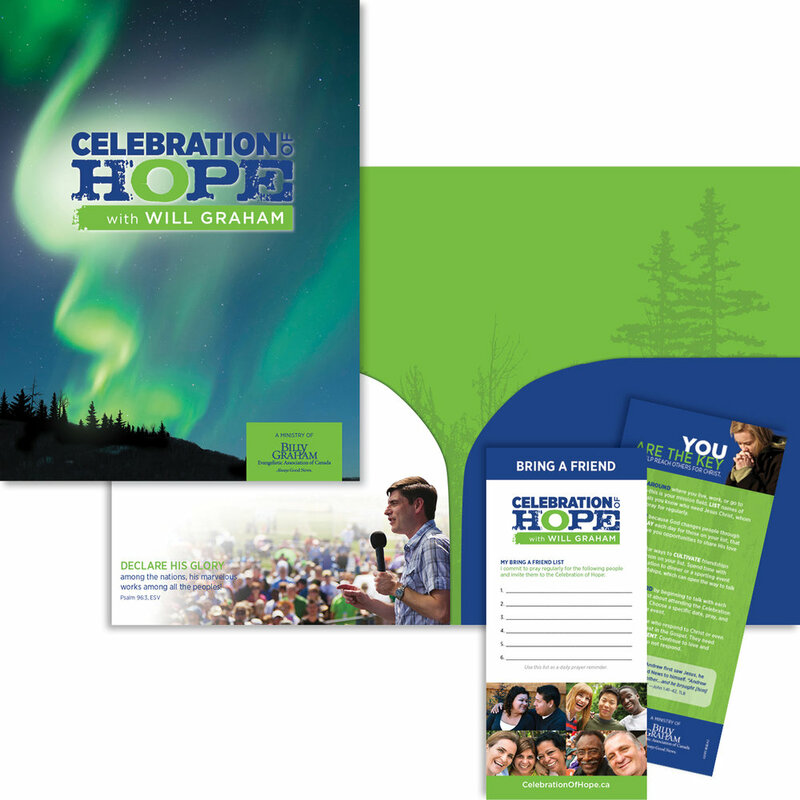 The 2015 Celebration of Hope with Will Graham was a series of events hosted by the Billy Graham Evangelical Association of Canada. This is one of many events they host each year throughout the United States and Canada, but this one required new branding as the venues were more rural than past Celebrations. 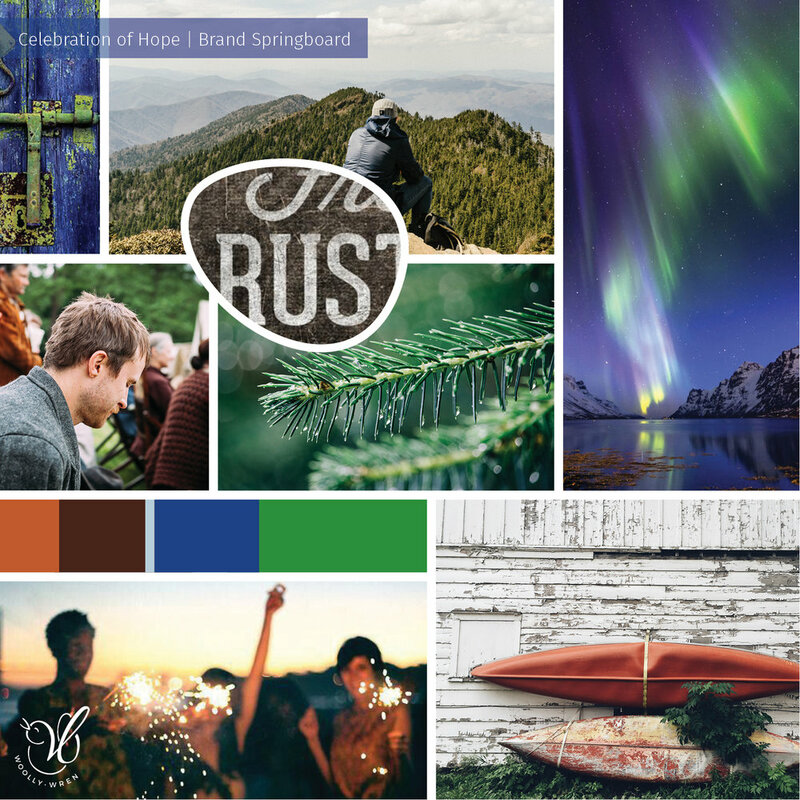 While previous events were often in large urban centers, these host cities were all smaller communities in Northern Canada, so we wanted a vibe that was down to earth, approachable, and vibrant. We decided early on to incorporate the Northern Lights as a key visual element because they were familiar to the attendees in a literal sense and also reinforced the concept of "light shining in the darkness" in a spiritual, figurative way. The project began with new branding which was a refresh and adaptation of previous branding. I then progressed into designing the usual multi-faceted elements of a BGEAC event series. Every time we contract Michelle’s services, we can count on her to listen carefully to our project needs, be attuned to our brand requirements, then respond with design concepts that are a nice balance of creativity and practicality. She works quickly and meets deadlines. All of that makes for a great graphic designer. —Jeff Adams, Director, Communications and Creative Services Dept.